I’ve been in spicy mood lately. I guess that’s good though, right? 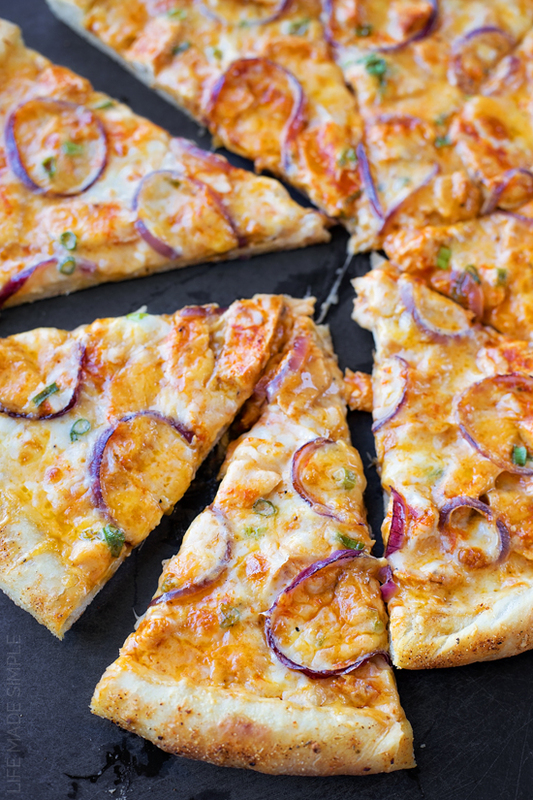 People are on the hunt for good Super Bowl recipes and this buffalo chicken pizza with a spicy cajun crust is definitely one to bookmark! 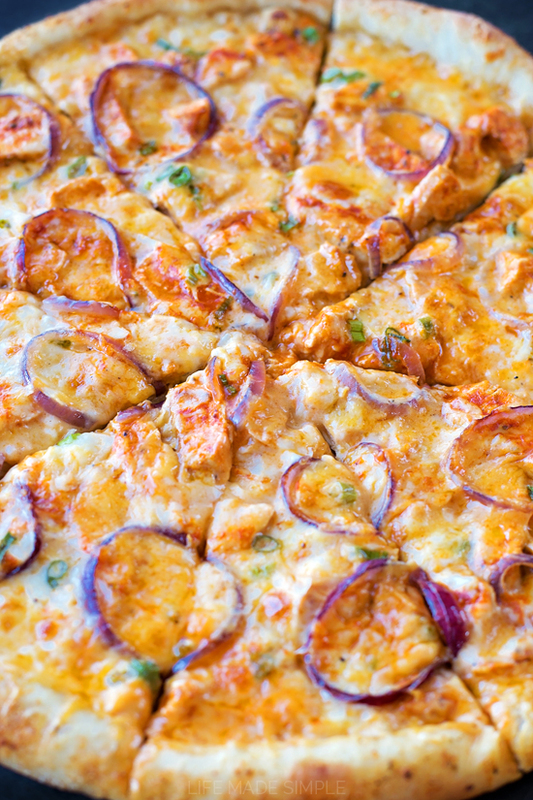 It’s topped with slices of buffalo marinated chicken breast, cheddar and mozzarella cheese, and two types of onions. And then there’s the sauce… and the crust. Good grief, this pizza is amazing from top to bottom! 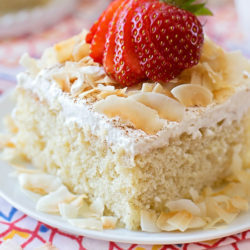 The recipe for the crust couldn’t be easier! It takes minutes to throw together and about an hour to rise. It yields a chewy, crispy absolutely delicious crust- a new favorite of ours! I wanted to jazz it up though so after rolling it out I brushed the edges with olive oil and sprinkled them with a mixture of McCormick’s Cajun Seasoning and garlic powder. Such a good idea! 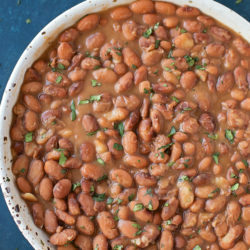 It was flavorful with just the right amount of kick! Also it reminded me a little of Hungry Howie’s crust, which Stephen and I both love. 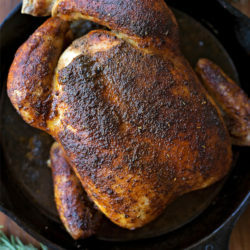 For the chicken we used the same seasonings and created a little rub for the breast. After we pan seared it we sliced it and tossed it in some Frank’s Red Hot Buffalo Wing Sauce. Next came the sauce. 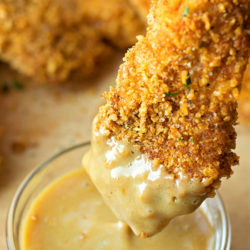 We loved the idea of a creamy garlicky ranch sauce that had a bit of buffalo sauce in it too. It literally took about 5 minutes to make! If you’re more of a bleu cheese fan you could definitely swap that for the ranch, but I definitely prefer ranch! 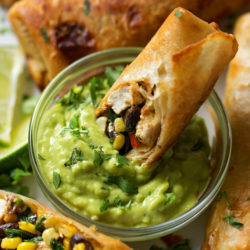 All that was left to do was spread the sauce over the rolled out dough, top with cheese, chicken and some red and green onions. After about 12 minutes in a 500 degree oven it came out looking and smelling AMAZING. And it was!!! Don’t get me wrong, I love pepperoni (and so does the hubby) but this kind is just delicious, and our homemade version is 10x better than any buffalo chicken pizza you could order from a restaurant! Go ahead, give it a try and let us know what you think! Go ahead, give it a try and let us know what you think! I guarantee this spicy and flavorful pizza will be a hit! 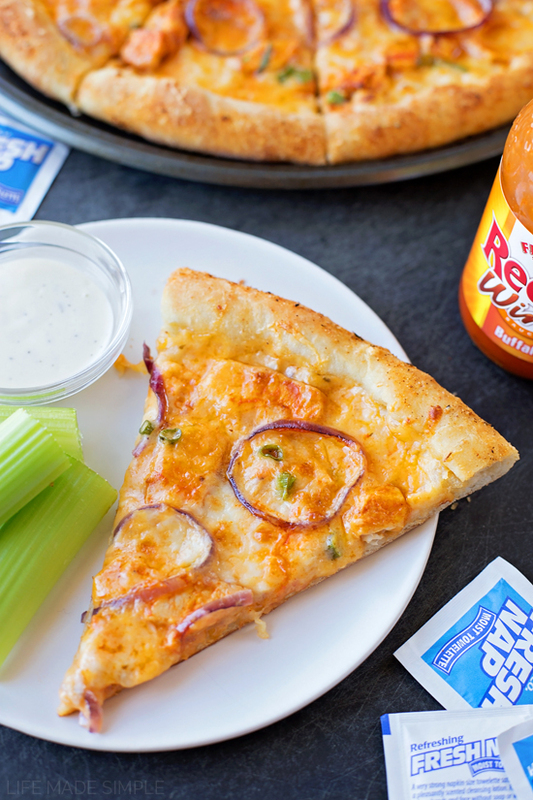 You'll never go back to pepperoni once you've tried this flavor-packed buffalo chicken pizza with spicy cajun crust! 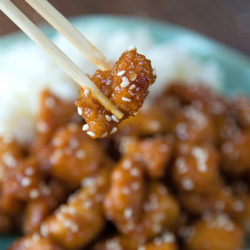 It's like eating hot wings, only 100x more delicious! To prepare the crust: In the bowl of a stand mixer fitted with the paddle attachment, combine the flour, cornstarch, sugar, yeast and salt, mix to combine. With mixing speed on low, add the water and 2 tbsp. of oil and beat until the dough forms into a ball. 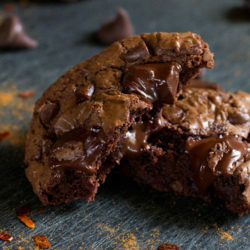 Switch to the dough hook and mix on low for 2-3 minutes until a smooth ball forms (you may need to add a little more flour depending on how sticky your dough is, but the dough itself should be rather moist). Oil a large clean bowl with olive oil, add the dough and cover with plastic wrap. Turn your oven on to 200 degrees, then turn it off and place the bowl inside. Allow to rise and double in size, about 1 hour. Divide the dough into 2 pieces, refrigerate one piece (or use it for a different pizza- see my recipe index for more topping ideas!). On a very lightly floured surface, roll out the dough so that it's big enough to fit your pizza pan and still has enough to fold over for a crust. Transfer to the pan and fold the edges to create a crust. Brush the crust with olive oil and sprinkle with cajun seasonings and garlic powder. To prepare the sauce: in a small saucepan set over medium-low heat, melt the butter then add the minced garlic, cooking until fragrant and translucent. Add the flour and whisk to create a paste. Slowly add in the milk and whisk until smooth. Add the ranch, hot sauce and pepper, whisk to combine. Remove from the heat and spread on the crust. 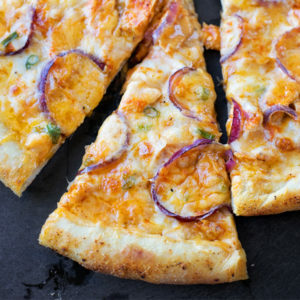 To assemble the rest of the pizza: sprinkle the cheese over the sauce, then add the buffalo chicken, and red onion slices. Place into an oven preheated to 500 degrees (the rack should one level lower than usual). Cook for 10-12 minutes, adding the green onions during the last 4 minutes or so. Remove from the oven and allow to cool for 5 minutes before slicing. -Why cornstarch in the dough? Because I don't like the idea of buying bread flour just for pizza dough, so I experimented a little and I love how it makes the dough chewy and crispy- it's perfect! -The dough recipe makes 2 balls of dough, you can either refrigerate on or use the other to make an additional pizza. Check out my recipe index for more pizza ideas! -The pizza itself isn't super spicy. It just has good flavor! Our toddler was a big fan of the crust (which you can totally add more seasoning to if you'd like or even add a touch of cayenne pepper or parmesan cheese)! You can find the cajun seasoning in the spice section (McCormick Gourmet) of most well-stocked grocery stores. It comes in a slender glass spice jar. 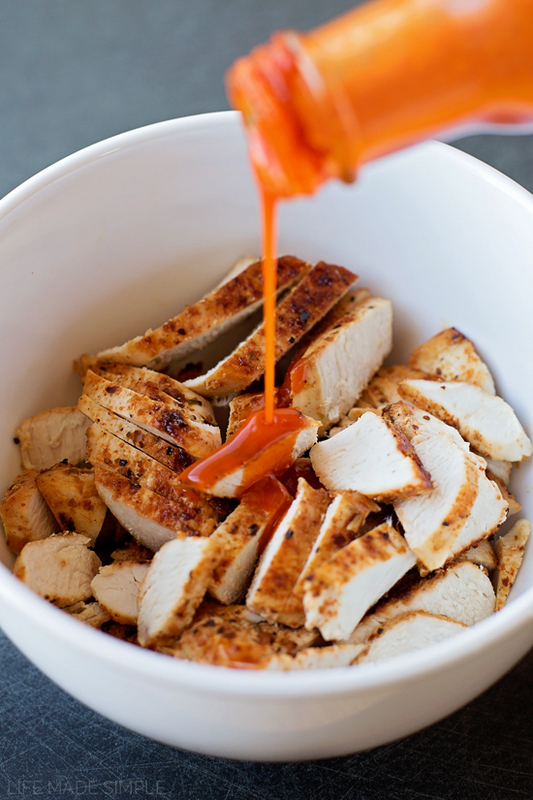 We have a HUGE bottle of that buffalo sauce in the fridge! Looks like I will be making this pizza soon! This looks fantastic! I want to make it tonight. Can I substitute whole wheat flour for the regular flour? Will I have to make any other adjustments to the dough? I’ve never tried subbing all whole wheat for all-purpose in this dough. I’d say start with 1/2 and 1/2 and see how you like it. 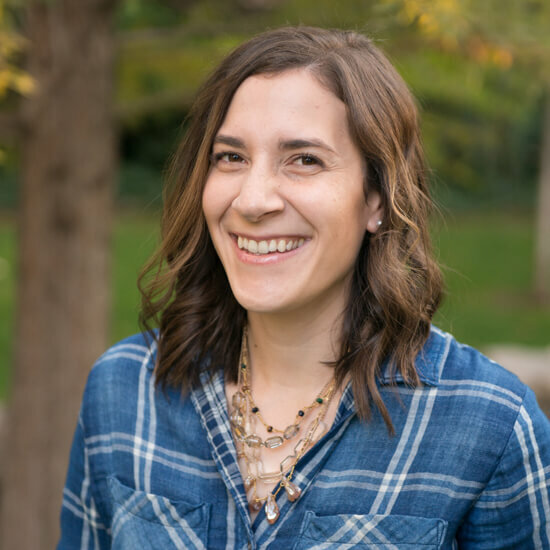 I normally don’t leave such lengthy reviews or details, but it was so good that I’d love to leave a possibly helpful review and encourage people to make this! I will admit all the steps were a lot to juggle by myself as my husband wasn’t home to offer any assistance, but I also have a tendency to not have everything measured out ahead of time. I tend to grab everything as I need it. If I did it again I’d request my husband help with a few things which would make the process faster, but it was so worth the effort. I ended up with a lot of Cajun seasoning left over anyway, so I would have that on hand next time, not to mention if you have it already made in a bottle, that saves time vs making your own like I did. 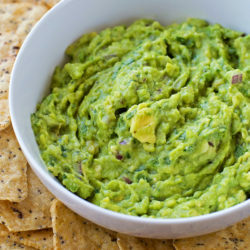 Amazing, DELICIOUS, absolute 5 star recipe! Thank you so much for sharing it. 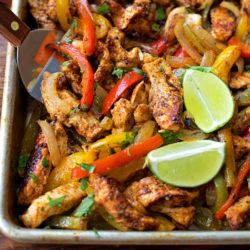 I look forward to trying some other recipes on your site, as we were so impressed with this one. Thank you again! You are so welcome! I hope you will try something else!